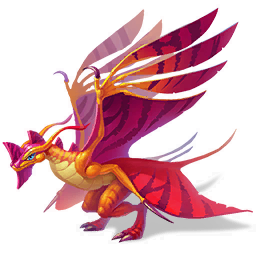 The Brightwing Dragon stands out from other dragons by the inimitable color of its wings. It is a very rare species, but dragon breeders continue to try to breed them for their sanctuaries. Sometimes their efforts produce some great results!